LUX: Is Moynat a new luxury brand or an old one reimagined? 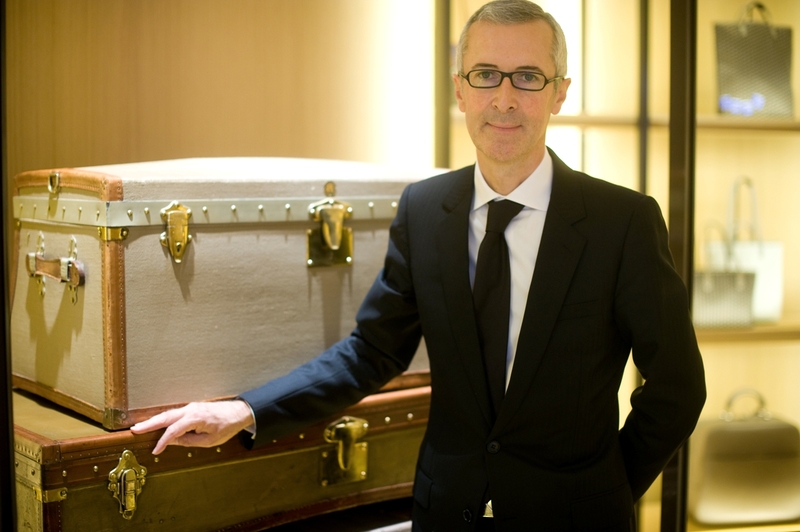 Guillaume Davin: Moynat is a House that is more than 160 years old, in which we have infused a new soul. We have been giving new life to a great name, staying focused and true to the essence and heritage of the Maison. This is not merely a renovation of what existed. The result is something that is true to our heritage but relevant to the present. LUX: What is your consumer craving, that you provide? Guillaume Davin: We create objects that contribute to fine living, objects which will become known for their craftsmanship, endurance, discretion, elegance and their innovative design rather than bowing to the trends of the day. A Moynat bag is of today and also timeless: always beautiful, always relevant. Moynat appeals to people who are independent in their tastes and choices and not influenced by fads, but looking for beautifully made objects. LUX: The luxury conversation has turned towards ‘experiences’. How does a purveyor of goods provide luxury experiences? Guillaume Davin: When you enter a Moynat boutique, you discover a new world, you learn about natural leather and traditional techniques such as leather marquetry, angle stitching, wood sculpting, painting… We also feel that the purchase of a beautiful bag should be linked to a moment of your life, such as a memorable visit to Paris for example. Luxury is not just about the object you purchase but your personal connection to the brand and to the story that it tells. That is why we tell the story of our brand and of each product so that is becomes intimate and real for each of our clients. LUX: Are stores still essential to the luxury experience? Guillaume Davin: Our clients are looking for the human touch and are very attached to the service they receive. Our team is kind, friendly and passionate; they know our heritage, the leather, the craftsmen, our creative Director… they focus on building relationships and communicating our values. Our visitors can understand who we really are. You need to see our vintage trunks, touch the leather. The Moynat experience is very sensorial and cannot be fully transmitted in a virtual environment. Our products are quite sophisticated and one of our strengths is personalisation and customisation. LUX: Your personal journey involves a deep understanding of Japan. How does Japan fit in the luxury world now that China is so dominant? Guillaume Davin: Japan is a place where tradition meets innovation. The Japanese people respect tradition but love innovation: they actually hate change but love newness, a paradox! They protect their ancient crafts, ceramics, lacquer, textiles, woodwork, but expect the artisans to fuse modernity with ancient skills. It is a culture that has an eye for quality and a refined sensibility, which is a perfect fit for Moynat. China is often considered a newcomer to the luxury market, however our customers are just as discerning and sophisticated. We just opened our first boutique in Tokyo in March; it is as exciting to introduce Moynat to the Japanese as it is to bring Moynat to China. LUX: What does it take to be CEO of a brand owned by your proprietor? Guillaume Davin: Mr Arnault is a passionate explorer and a competitive entrepreneur. 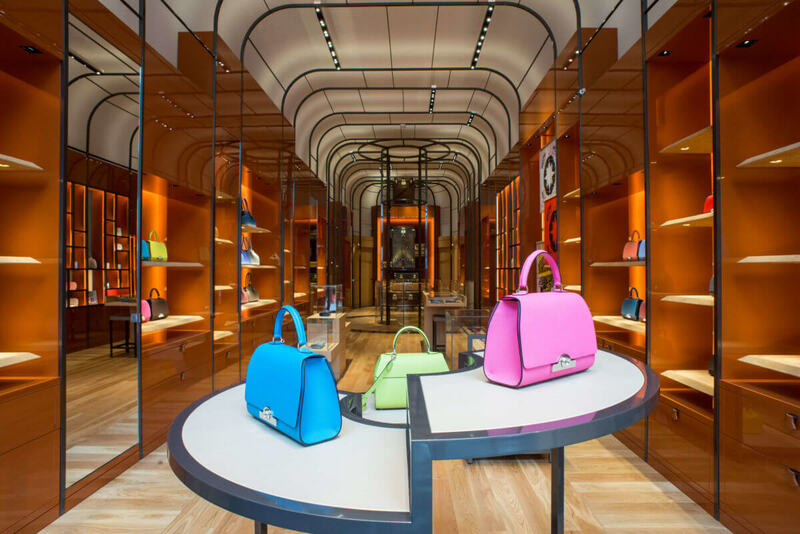 He decided to revive Moynat out of a “coup de coeur”. Moynat is a personal project for Mr Arnault, not a part of LVMH, so we are very different from the group in every sense, from size to way of functioning. Mr Arnault gives Ramesh the creative freedom to express his vision and Ramesh in turn challenges the craftsmen to express their talents. LUX: Media and advertising has been so central to LVMH brands. Moynat stands apart – how do you do it and is it a challenge? Guillaume Davin: We have been lucky to have clients who are have been our ambassadors. Their word of mouth has been the best and most authentic marketing tool that we could imagine. We use the best of social media (such as Instagram and Twitter ) to share our stories and life as a way of direct contact with our clients and friends. LUX: How do you see the climate for your products developing? Guillaume Davin: We are seeing a return to the true meaning of luxury, where the product is invested with meaning and true rarity. Our clients are happy not to be just a cog in a machine, but to own something truly precious, authentic, timeless, historical, a product that requires time and patience. LUX: What excites you most about opportunities going forward? Guillaume Davin: We are growing in an organic way with total control on our manufacturing and quality. This is a challenge but also a great opportunity, to find new trends in social media to connect with people who share our vision of luxury and are looking for new, authentic experiences. We have to tailor the experience we offer to each market, and at the same time keep a common core that is constant and true to the spirit of Moynat. LUX: What does your travel schedule involve? Why do you love doing what you do? Guillaume Davin: Along with growth comes non-stop travel, which is exciting as well as exacting, because you can see the results of every decision on different markets. Each day brings its challenges, which is what keeps us passionate about our work. Being a marathon runner, I am in it for the long haul.